Carrier IQ is the new hotness when it comes to creepy tactics to get a hold of user data, but there is a new app for Android phones which will let you know whether or not the software is running on your device. The app is courtesy of François Simond, a.k.a Supercurio, who put it together in just four hours. Unfortunately, the app will currently only detect whether or not Carrier IQ is on your device, but can't do anything about it. Of course, being the good samaritan that he is, Simond has put the code for the app on Github, so other developers will surely expand on his work. Simond also warns that anti-Carrier IQ fixes are not detected and can lead to false positives, but these issues should be ironed out going forward. You may not be able to actively kill Carrier IQ, but this is a knowing-is-half-the-battle type of situation where you can at least be a bit more careful with your phone. Or, knowing that it's on your device, you can contact your carrier to complain about the software. 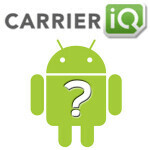 If you want to give it a shot, the Voodoo Carrier IQ detector is available for free on the Android Market. And, if you're a developer looking to build on Simond's work, the code is at Github. There is an app than can remove CIQ, if detected, as well as set IPV6 privacy, remove CIQ and stop any app from creating log files. . Look for TrevE's Logging Testapp on the market - ProKey version is suppose to remove CIQ. Does anyone know the false negative rate? And this is what i mean Remixfa DID not troll this article. There's nothing to troll here you idiot. Android releases an app to detect CarrierIQ... big whoop, can you say the same for the iPhone4? There. Happy now? I think iKing missed this article: http://www.phonearena.com/news/Apple-Carrier-IQ-isnt-supported-in-iOS-5-still-on-iPhone-4_id24282 Like you said...all this is is an Android app to detect if you have it. what the hell?? i cant understand anything from the app , what the hell are the detection scores! Props to this dude for uping the ante with the quickness. Take that, Big Brother!